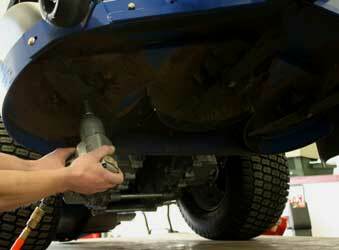 All our Tune-Up Specials Include the Price of Parts and the Oil. That's Up to $70 savings over buying the Do it Yourself Kit alone, based on Toro's Twin Cylinder Tune Up Kit for $69.99. Tune-Up Includes: Ignition System Test, Compression Test, Crankshaft Run out Inspection. Oil Change and Oil Filter (if Equipped). We will also install a New Spark Plug, Air Filter, Pre-Filter and Fuel Filter (if equipped). Blade Sharpen and Clean the Deck, and finish the Tune up with any Wheels with Grease Zerks Serviced and a Final Test Run. 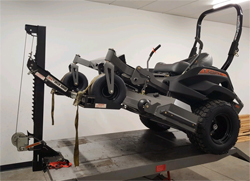 Tune-Up Includes: Same as Regular Push Mower Tune-Up plus, Drive System Belt Cover Removal, Clean out Debris, Drive Belt Inspection, and a Final Test Run. Tune-Up Includes: Ignition System Test, Compression Test. Oil and Oil Filter Change. We will also install a New Spark Plug, Air Filter, Pre-Filter and Fuel Filter. Blade(s) Sharpen and Clean the Deck, Grease all Zerks Available. Inspection of Deck, Drive Belts, Drive Pulleys, Deck pulleys and Finish with a Cleaning of the Battery Terminals, Spray of Battery Terminal Protectant and Final Test Run. Why Pat's Small Engine Plus? Certified Mechanics with actual hands on training with the Original Manufactures, Fast Turn Around Times and Great Prices. Lawn mowers, leaf blowers, trimmers, snow throwers, chainsaws, etc. $75 within 10 miles, $2 mile every additional mile. Plus: Any additional unit’s pickup and delivery is free. Whether it is 1 unit or a trailer full, still only one fee, so feel free to tell your neighbors and split the cost.